Nate Fast, has arrived at Vanquish! 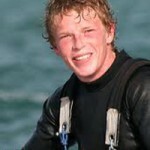 We are excited to hear his stories about the finish of the Barcelona World Race and will be sharing them with you soon. Boat Captain Matt Noble is the next arrival on April 23. 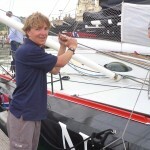 He will be flying in from Abu Dhabi where he has been sailing with with the Abu Dhabi Ocean Racing Team.